Mississippi Sen. Thad Cochran Gets A Tea Party Challenge : It's All Politics The conservative firepower behind Mississippi senator's primary election opponent suggests Cochran will need to take the race seriously. State Sen. Chris McDaniel waves at supporters after announcing his candidacy for the U.S. Senate during a rally at the Jones County Courthouse in Ellisville, Miss., on Thursday. It's official: Mississippi Sen. Thad Cochran is the latest GOP incumbent to get a primary challenge from the right. State Sen. Chris McDaniel announced Thursday he'll try to unseat the six-term veteran in 2014, the day after Cochran voted for the compromise to end the government shutdown and avert a debt default. McDaniel's move wasn't completely unexpected. What's interesting, however, is the firepower behind it — influential national conservative groups such as the Senate Conservative Fund, the Club for Growth and the Madison Project are all supporting the Tea Party-aligned challenger's candidacy. "I respect him. 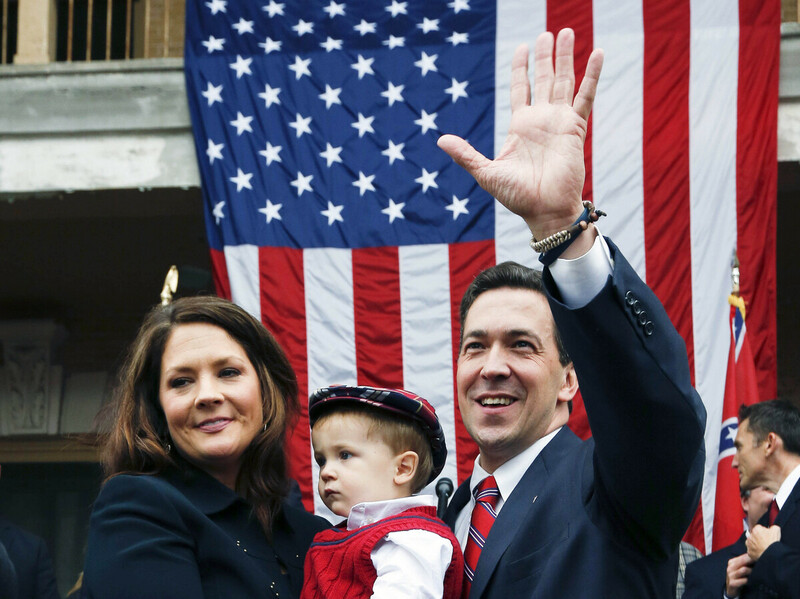 I grew up admiring him," McDaniel said at his announcement event. But he criticized Cochran's vote for the deal to reopen the government after being shut down for 16 days. Cochran was one of the senators to vote 81-18 to temporarily lift the nation's borrowing limit through early February and keep the federal government funded until Jan. 15. "I've got 17 trillion reasons not to compromise," McDaniel said. Cochran, who will turn 76 later this year, has held the seat since 1978. He's the top Republican on the Agriculture, Nutrition and Forestry Committee and sits on the powerful Appropriations Committee. He's not tipped his hand as to whether he'll seek re-election. "Sen. Cochran has indicated that he will determine his plans regarding the 2014 election cycle later this year," said Cochran Communications Director Chris Gallegos. According to the Center for Responsive Politics, Cochran had $773,953 cash on hand through the end of June — one of the lowest amounts of any senator who is up for re-election in 2014. The Mississippi seat is considered safely Republican, so the winner of the June 2014 primary will be a heavy favorite in the general election.